Home » Announcements » Starting Right – Rockford! Looking to start your own business? We have resources ready for you! 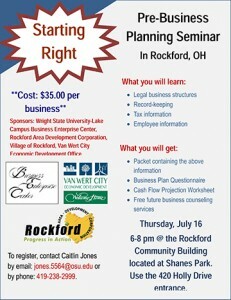 Come to the STARTING RIGHT Pre-Business Planning Seminar right here in Rockford – July 16, 2015 @ 6:00 PM. Cost is $35.00 to attend.